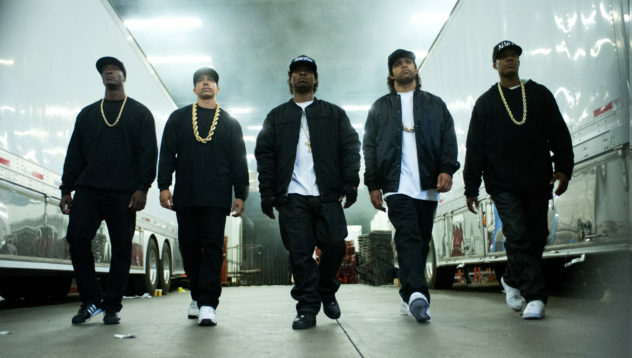 Episode 178 – Straight Outta Compton & Are We There Yet? We’re back again, with another episode of See You Next Wednesday! This week, Greg and Dan checked out Straight Outta Compton, the highly anticipated biopic about legendary rappers N.W.A. and their rise to fame as well as subsequent contract disputes. Does the box-office success come at a price of smoothing over their storied history, or is it a gold-record success? Then, Casey checks out Are We There Yet? which found Ice Cube at his most family-friendly. And finally, we discuss Sean Price‘s album Mic Tyson. But first, we’re talking about movie news and catching up on what we’ve been watching, including Aloha, The Diary of a Teenage Girl, Creep, Demitri Martin Live* at the time…. and much more! Instead of 9021Oh Yeah Relay! this week, we’ve got a sneak peak at the first episode of Melrose Place, so you don’t want to miss out on that! Episode 23 - Danger, Danger, Mr. Robot!